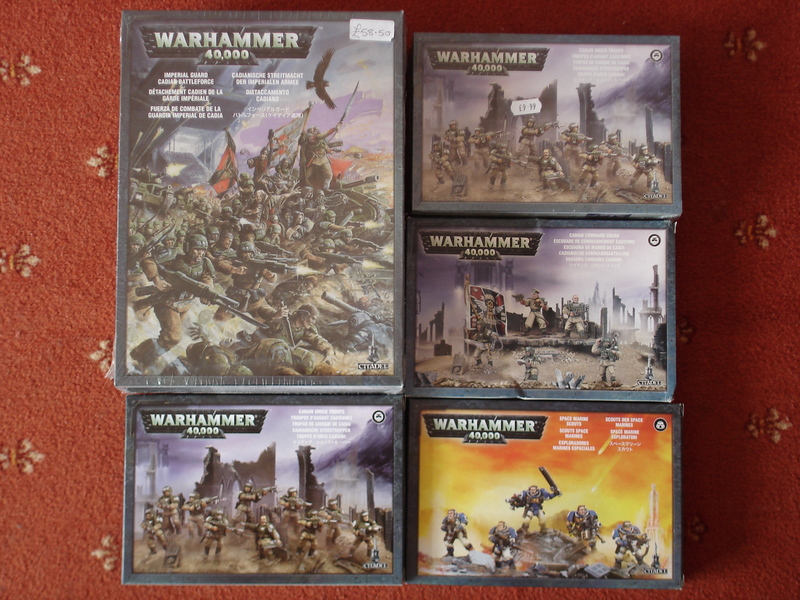 I’ve been through the various boxed sets I already have and obviously had to buy a few additional bits, (wouldn’t be a proper gamer if I didn’t buy some new shiny bits for the project). My overall ‘look’ for the force isn’t going to be the basic ‘straight out the depot’ Cadian Guard that you see on the Games Workshop website. I want my army to look a little more battle worn and more experienced. Since I’m also a ‘tread head’ and will be adding tanks later, I’m going to go for a combined heavy brigade feel. Infantry from a number of units who have been combined together, either through attrition or for a special purpose. This will allow me to do what I really enjoy, namely conversions. For anyone not familiar with ‘converting’ miniatures, this simply refers to taking an existing model and modifying it through various means, from the use of simple accessories right up to cutting off and remodelling large portions of the miniature. I’ll be doing both for this army. 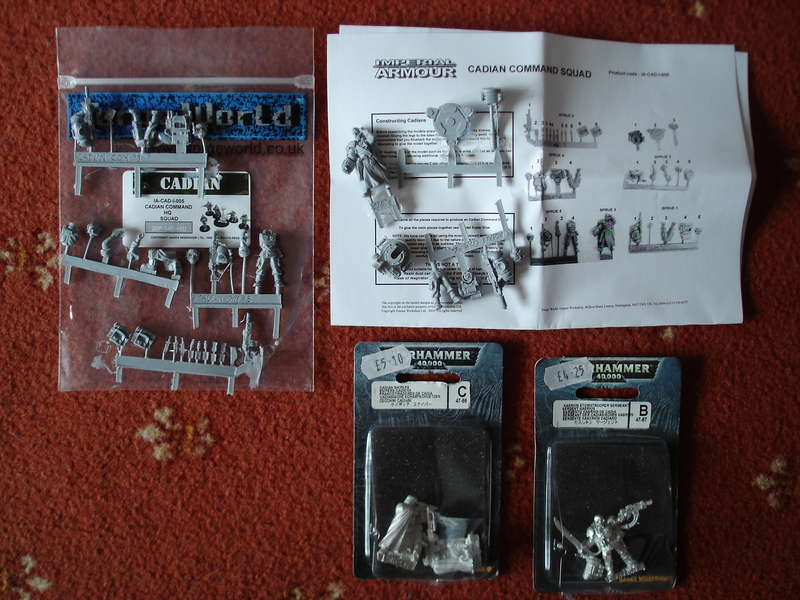 I’ll be using the Cadian Stormtrooper Sergeant as my commanding officer and converting the Space Marine Scouts squad to be Imperial Guard troopers with carapace armour. In addition, to achieve the more ‘solid’ look I’m after, I’ll be using a number of the excellent accessory packs available from people like ‘Pig Iron Productions’ and ‘The Scene’. 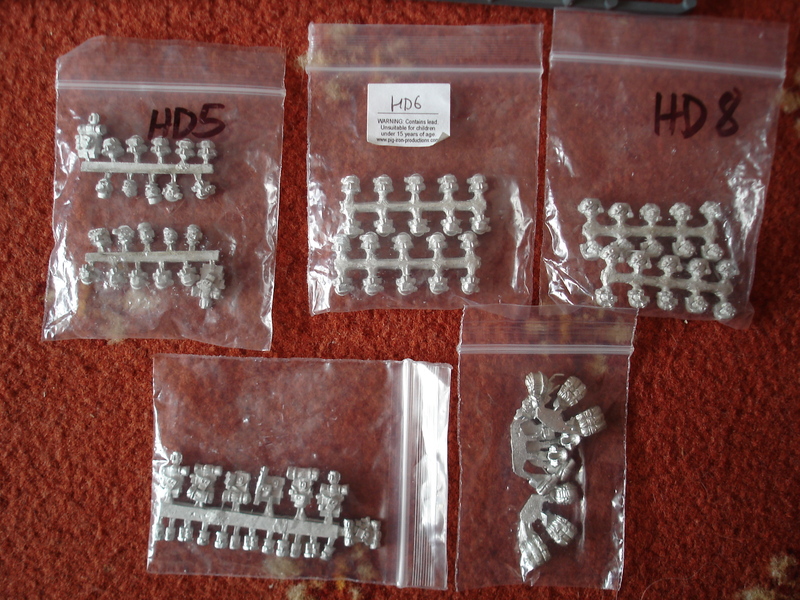 I’m intending to replace virtually all the heads in my army with the Pig Iron system trooper heads. Most of these have full face plates, which will provide me with a more ‘protected’ look for my troops. The heavy weapon teams will be using the heads with the built in targeters. For the veterans, the additional backpacks and so on will provide the appearance of a hardened unit used to operating without support for long periods. 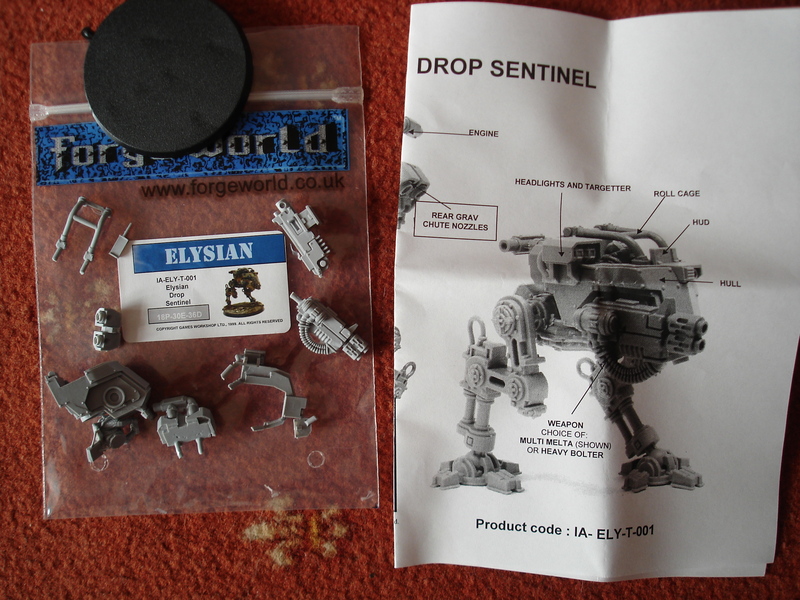 This entry was posted in Imperial Guard, Warhammer 40K and tagged Games Workshop, Imperial Guard, Warhammer 40K. Bookmark the permalink. Pig Iron Production made very nice bits, I discovered this brand newly, http://www.bitzstore.com/en/221-pig-iron-productions-bits on this site. The choice of head is great for Imperial Guard with PIP. Good work for your project.